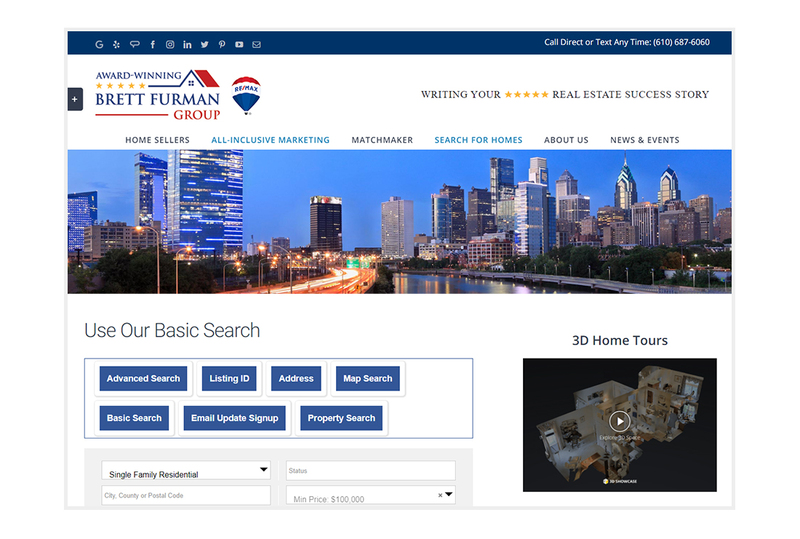 Brett Furman Group RE/MAX Classic is a PA-based Real Estate firm that offers unique and cutting-edge services to their clients. They offer 3D and virtual reality home tours, drone photography, and more. The group was founded by Brett Furman—also the author of the book What You Really Need to Know about Selling Your House—who personally gets to know each and every client. 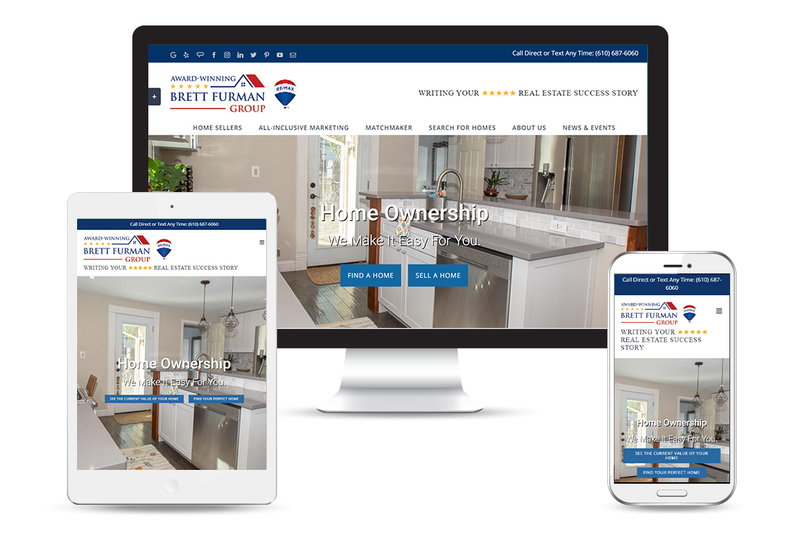 Brett is a returning client whose initial site was redesigned by CandyApple in 2015. At the time the business name was Brett Furman and he was the only Realtor. In 2017 Brett expanded his practice to include additional Realtors and the business name was changed to Brett Furman Group. The addition of other Realtors did not lessen Brett’s personal commitment to his clients. This continues to set the group apart from other Real Estate firms and the group’s new website had to reflect this. In addition, the site needed to highlight the firm’s cutting-edge services such as 3D tours, drone videos, and custom IDX search maps.